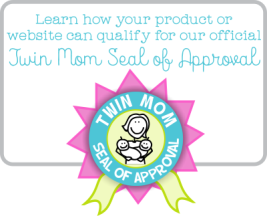 If you're expecting twins you will surely want to have a twin baby shower! We have done a quite a bit of searching and even created some items of our own so that we could put together a rather nice list to get you started with planning and ideas. There are lots of fun shower invitations, creative themes, decorations, games, twin baby gifts, and more made especially for this unique occasion. It's so nice that mothers expecting twins have this option for a truly personalized baby shower. Whether you're the mom-to-be, friend, or family member that's doing the planning, don't settle for any old shower when you can have a twin themed shower! With more and more twins being born, there has been a greater calling for unique themes for twin baby showers. We were able to create these fun themes at our sister shop. Each theme includes several coordinating items like - thank yous, buttons (perfect for games), hats, banners, yard signs, guest books and more. 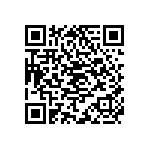 Just click on the pictures below to visit the site and find out more! We have come across some really creative websites offering decorations, games, favors and other supplies that work great for twins. You can even personalize most items which makes it even easier to customize for your particular shower. There are some really terrific products to take a look at and get ideas for a theme if you don't already have one. Of course it helps a bit if you know the genders of your babies-to-be. You can really narrow down the theme if you know what you're having. How cute are these baby face cake pop favors? We love them because you can totally customize them to work for any twin gender combination and you can even pick a ribbon color and cake flavor! Better yet, you can order online and have them delivered exactly when you need them. A very popular theme for twins is "Two Peas in a Pod". These adorable little salt and pepper shakers make the perfect memorable favors for your guests. They will work for any genders too, so it's a great theme when the parents don't know if they're expecting boys or girls or one of each. Grab some coordinating invitations and ask your local bakery if they can make a green "Pea Pod" cake and you'll have a truly unique party! 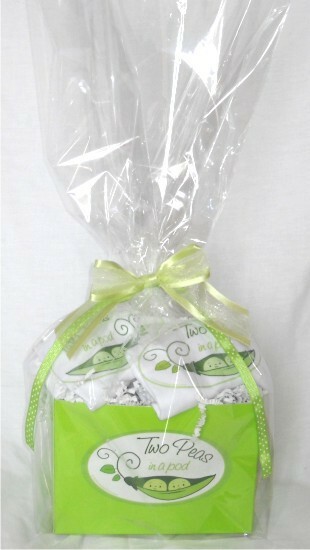 Two Peas in a Pod Gift Basket for Twins - SHOP NOW! You can't have a shower without gifts! There are so many options we gave it it's own category. Just visit our Gifts For Twins page for a slew of original ideas to make your present really stand out! From personalized jewelry for the new mom to darling gift baskets made just for two, we have you covered! Like this Two Peas in a Pod gift basket? Just click the photo to see details or buy...It includes to baby tees or bodysuits in your choice of sizes.